Klymenko: 10 mistakes of tax service in 2014 ⋆ News ⋆ Official website for Oleksandr Klymenko. 1. Nobody would call a good thing as “Fiscal Service”. I believe that the fundamental mistake in the tax policy in 2014 – was a refusal from strategy “from servicing agency to fiscal service.” In fact, it is a 180 degrees u-turn, which will have long-term negative consequences, both for the taxpayers and for personnel of the tax service. Reorganization of the Ministry of revenue and duties was a mistake itself. Due to hasty decision, nowadays we have situation, when constant change of Ministers of Finance does not allow to implement tax reforms, even those that are beneficial for business. For instance, reduction of the number of taxes and decrease of rates of Single social contribution, taxation of passive income. Moreover, customs, tax authorities and tax police are working in the format of “Swan, Pike and Crawfish”, and “the cart is still there today”. Basically, the system of work in tax authorities is completely ruined, personnel is demotivated and does not understand how should they work, and what problems should they deal with. This year, for the first time during the existence of the Tax service, the collegium was not conducted! What kind of reforms can be discussed when Mr. Bilous is afraid to talk to his team, and transmits his tasks via his assistants with unknown status and level of professionalism? People are “quietlydoingnothing.” Unfortunately, such situation is a reality not only in SFS, but in most authorities. 3. The Law on transfer pricing is put off to the Greek calends. Up to 70% of Ukraine’s exports pass through offshore and low-tax jurisdictions. Only since the beginning of 2014, the supply of goods to these countries has been risen by a quarter and has already cost our country more than UAH 200 billion. The Law on transfer pricing, which would have allowed monitoring transactions between related parties from May 2014, has not become an effective instrument. Due to efforts of lobbyists, the essence of law has been blurred. Thus, there is no revenue into the budget. 4. VAT accounts like a horror story for business. Since January 2015, the entire Ukrainian business should have been switched to electronic VAT administration, namely, to work with so-called VAT accounts. Risks for business are significant. Both experts and entrepreneurs are talking about it. It comes about washing out of working assets of enterprises, and absence of provisions related to the tax credit, which appears before January 1. The problem of VAT refund to business has not been solved. During the current year, compared to the previous one, business has received 15% less of reimbursement amounts to their accounts. 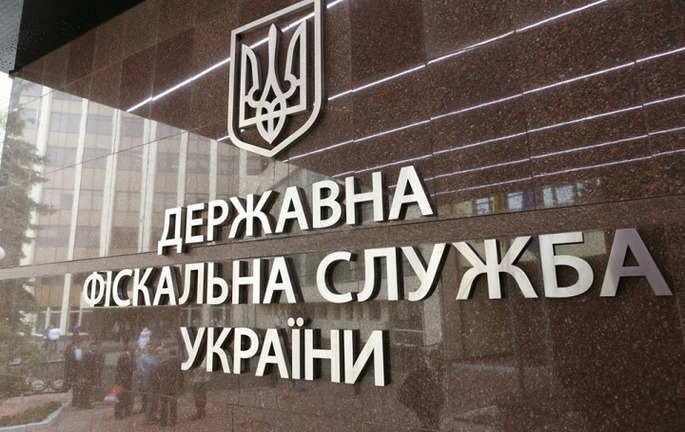 The total amount of VAT arrears to the business has not being reduced since the beginning of the year, even despite the issuance of government bonds in the amount of UAH 6,8 billion this year. 5. Abandoning measures of combating smuggling at customs. System of cargoes scanning was canceled; electronic locks were put into scrap. The country is full of contraband again. The fifth shift of chief of Odessa customs may be hardly considered as one of effective measures against smuggling. 6. Absence of determination to eliminate the tax police. I believe that the tax police must be eliminated. You heard that right: it is useless in its form, which exists today. However, instead of reaching compromise with business, leadership of the SFS together with the government support is lobbying establishment of the Financial Investigation Service with much wider powers than the tax police have today. 7. Illusion of the fight against corruption. Have you heard that someone from the tax officials was caught on a bribe this year? Even the unfortunate ex-rector was released. Nobody in the SFS system is engaged in the work of fighting against corruption today, because, in fact, there is no fighting there. There is only one pleasant thing – people are scared. The Law on lustration operates somehow. However, will it last for long time? 8. Shortage of budget revenues – it’s not a mistake, it’s a systemic problem in the leadership of the tax office. It is not a consequence of military actions and systemic crisis in the economy. Today, shadow economy has not only dramatically increased – it has acquired chaotic nature. In fact, it is easier for the SFS leadership not to fight against the shadow economy than to fight. It is easier to rewrite the plan of revenues retrospectively, and to hope for devaluation of UAH rather than systematically work on unshadowing. 9. Back to the past. Total refusal from innovations in tax office field will have a negative effect on the work with taxpayers. The “Electronic taxpayer’s office” has not been launched; the idea of electronic audit, which had been fully ready for implementation by the end of last year, has been nipped on the bud. Even the Department of servicing of taxpayers in the SFS was eliminated as an unnecessary one. Why should someone provide services to these taxpayers, if we can just come to them with the “masked show”? (refer to mistake number 6). 10. “Iron room” as official informational policy. During the last year, the tax service has turned into the most closed and top secret authority. Except for populist affirmations of the leadership about some ghostly super-reforms and malfeasances of “predecessors”, publicity was not provided with information on either major budget targets, or on the working plans. Public discussions of reforms were carrying out just to “check the box”. Even reaction to criticism in the media is publishing every six months on the SFS official website. It is hardly due to the fact that the tax service is obtaining less criticism. It seems that the SFS leadership has locked themselves in the notorious top secret “iron room” and has lost the key.